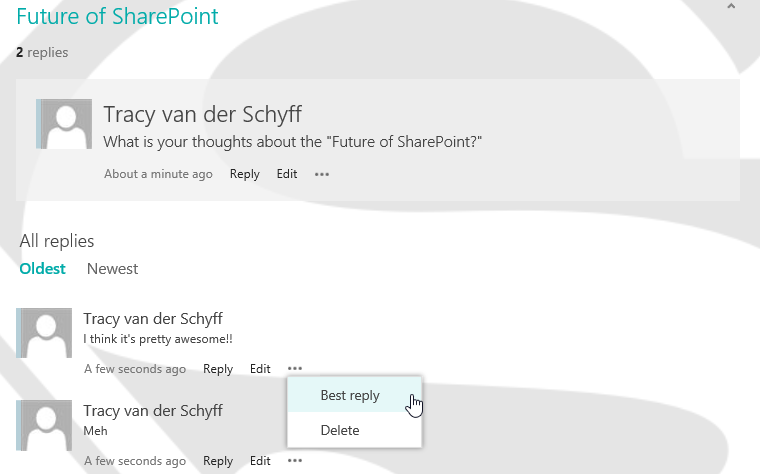 #Office365Challenge – Creating Discussion Boards in SharePoint. Discussion Boards are pretty nifty for creating quick topics and allowing “collaboration” on these. I think it’s important to keep in mind what you would like the output to be. If you want to do analysis on how many people said “so and so” – then Discussion Boards is not it. 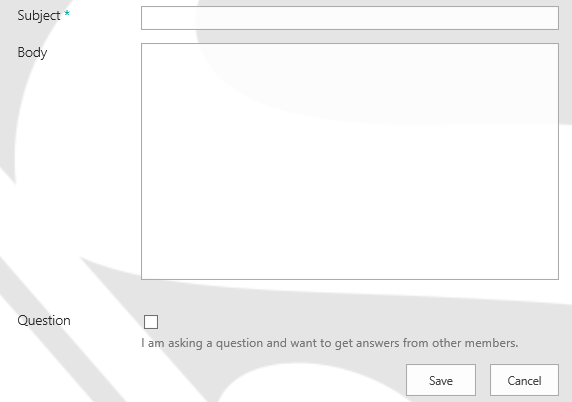 Rather user SharePoint Surveys or build a custom list. If you look at your app you’ll see the + New Discussion right there – go ahead – click it! !